Our latest release of SPInspector version 1.7 is packed full of features and new inspections to help keep your SPI Database running efficiently. With project level inspections you can now see how individual projects are progressing, and any errors or issues that may arise before the project is merged into the as-built SPI database. You can also now schedule SPInspector to run inspections in the background and send you the reports to keep your project and other favorite inspections up-to-date. SPInspector version 1.7 is packed full of new inspection queries, and project level inspections to provide you a complete picture of your SPI database. Schedule SPInspector to run your favorite inspections on your schedule. You can now use the task scheduler to automate inspection runs so that you have the latest inspections ready. SPInspector version 1.7 can now inspect individual projects within the SPI Domain. This allows you to focus your inspections to identify issues with work packages and projects. You can run inspections at the beginning of a project to get a baseline of what items are being addressed and run progress checks periodically running the same inspections over again on the same project domain to see what has changed. Do you need a way to organize all your custom SPInspection Queries? 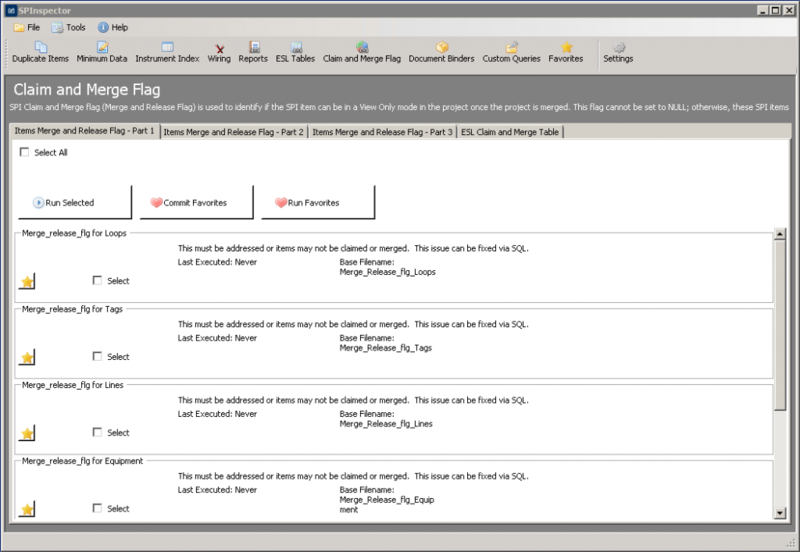 Do you want to import queries or export queries from other SPInspector users? The all new SPInspector version 1.7 now supports grouping your queries so you can organize your custom queries. You an also now import and export your queries to either back them up or email to your colleagues. Do you want to run a set of inspections every day or every week or every month to track progress? Do you want to have those emailed to you so you have a record of what has happened to your SPI database? The SPInspector Task Scheduler allows you to run inspections in the background so you can focus on other tasks and get the updated inspection reports sent to your inbox. SPInspector is our powerful, automated data quality software engineered to collaboratively work with SmartPlant® Instrumentation. Conduct a full SPI database inspection. SPInspector will standardize, organize and streamline your inspection protocol to protect your SPI investment. Designed by Mangan’s in-house SPI Subject Matter Expert (SME) Nezar Faitouri, SPInspector marries technology with industry best-practice approaches to ensure your SPI database is in sync with your facility. Unintended data discrepancies in our clients’ database prevented efficient functionality (i.e. 3rd party interfaces). Clients were unaware that data discrepancies existed. Clients that knew of data discrepancies didn’t have the ability or resources to address them. Clients lacked the ability to thoroughly verify the overall condition, quality or consistency of project data. SPInspector was created by our engineers as an empowerment tool designed to provide SPI users a full, real-time assessment of the SPI database. Our system enables complete data accuracy, thereby improving production by identifying problems early-on and minimizing their impact. Custom Queries of your own! SPInspector is an intuitive software that audits your SPI database to identify discrepancies and ensure the accuracy of your data. SPInspector will standardize, organize and streamline your inspection protocol to save your resources and protect your SPI investment. Instrumentation Engineers and Subject Matter Experts designed SPInspector to be user-friendly, intuitive and plant-ready, which is the ultimate benefit of software designed by engineers, for engineers. 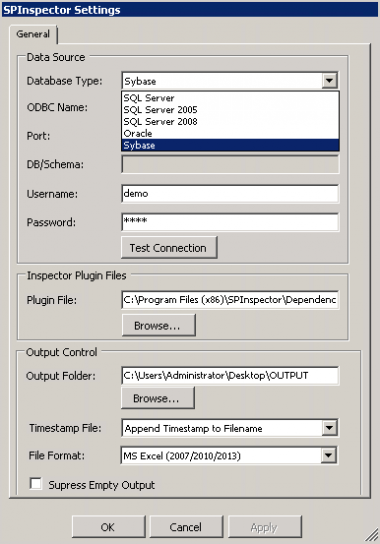 SPInspector quickly and easily conducts a full SPI database inspection with 271 queries. One-click access and organized pre-loaded inspections provide immediate results to your entire SPI database; saving your project time and money. SPInspector interrogates the SPI database directly, and provides continuous access to project status. You can quickly identify fragmented or insufficient project work as it’s being populated. Design and organize your database inspection protocol by incorporating your own custom queries into the tool, or have our experts customize the software to your specific requirements. With SPInspector, you maintain a healthy interaction with 3rd party software as it identifies problematic threats to the free flow of data between software and saves resources by avoiding troubleshooting and down-time. By grouping inspection criteria, you can control the scope of your database examination and capture a snapshot of the SPI data you want evaluated. Through the identification of problematic data, SPInspector ensures synchronization between your SPI database and the current state of your plant. Your virtual plant will accurately portray the real one. Manageable results to individual inspections provide brief, comprehensive files (.CSV or .XLS) to best address issues efficiently. SPInspector is an independent application which is recognized by Intergraph® to work alongside SPI and maintain high-quality data content within SPI databases.